Bibliotech: Y U Need 2 "Friend" ur Students! Y U Need 2 "Friend" ur Students! 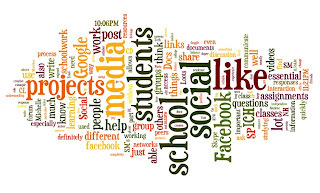 I am collecting information about students' perception of the instructional value of social media in school. So last night at about 10PM (we are on vacation this week), I posted an inquiry, "This is for students! 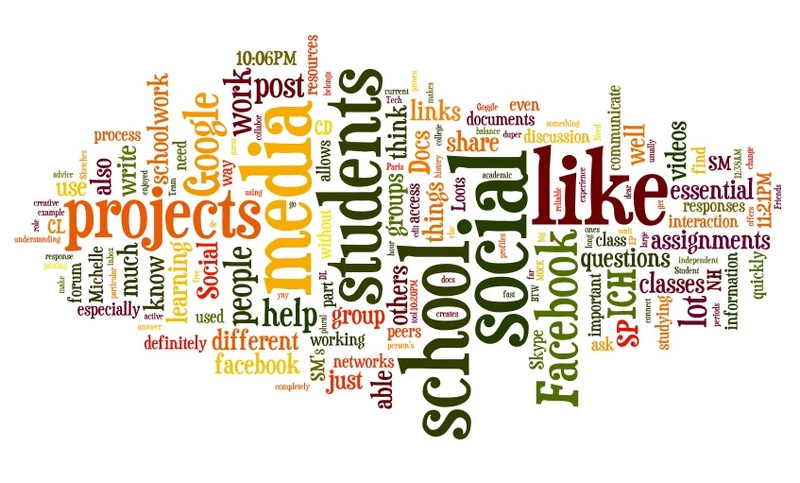 I am collecting the top ten reasons you NEED access to social media in schools - what does it TEACH you?" Within 90 minutes I had a collection of genuine, thoughtful reflections (click link to read student responses!) from seven students for my project. Last week, we had two student groups submit video contest entries in a national contest with 1st prize cash award of $3,000 (for the school library). Naturally, students procrastinated until the very last minute. Both projects were completed in two days. The entire effort for both groups was coordinated through Facebook. I am faculty advisor to a very small international virtual co-curricular club for students with an interest in collaborative video and web design projects (it is still in its infancy and if you have a candidate for the club, please get in touch!). We tried coordinating our communications in three different platforms before finally settling on Facebook. It is our club’s only hope for survival. When our juniors start working on their research paper for English, we instruct them to log their research process in Facebook groups. I follow their process, and add suggestions here and there, but they also need to reflect on their peers' process. It is a collective learning experience, not a teacher-directed one. We developed a rubric for this to guide them through the process. Over the past three years, we have experimented with a number of platforms for this exchange – none of which engaged learners as Facebook has. What people seldom mention in all this talk about whether or not teachers should "friend" students is how it changes productivity. Not one of the aforementioned experiences would have been possible if I wasn’t Facebook friends with hundreds of students. I also write about “Facebook friending” in my Open Letter to the Westport Board of Education. Of all the teachers I poll on the subject here at Yavapai College, NONE, save for my wild co-worker Todd, are willing to add students as friends to their 'personal' facebook profile. I don't see a problem with having separate profiles, but I would like to know if there have been any real 'issues' with this for you, and if the sentiment is the same with your peers. Hi Thatcher! Thanks for commenting. It is always refreshing to hear from another perspective. I suspect that 9-12 and college needs are a little different. HS students are notoriously sloppy about checking their school email, and as a librarian, I don't have scheduled time with students. Facebook is the fastest way for me to get in touch with students. I do have a separate profile, not because I do anything I need to keep secret there, but just to separate my students from my friends. It's a good practice. We do it with email, why not social media? Four percent of the 400 students who took our survey said they too maintained separate profiles. Michelle, when you set up the Professional FB page, were there any tricks or tips you discovered? I am thinking I need to set up a second page also, simply to have contact with the kids during vacations and other times I can't reach them. I just have real problems 'Friending' them on my personal page until after they graduate. I do have at least two former students there. I am not a fan of friending kids from personal accounts. I did it for years, but I never really felt comfortable about it. Like I said above, I've reconnected with people I haven't seen in thirty years on Facebook, but I really don't know that much about them now, and I didn't like putting students in their world. If you are not already friends with students, it's pretty easy. You just open another account. I used my school nickname "Loots" on the new account, because kids don't usually spell my name right, and I wanted my real name attached to my personal profile, but, it is also weird to have a nickname on my professional account where I communicate with other professionals. As far as migrating friends, I tried to do it accurately and scientifically (generate a list of friends, then unfriend and refriend them from new account, but it just took too long, so I just posted status updates about what I was doing on both accounts, severed ties then let Facebook recommend people. I told kids not to take it personally if I missed them - that I was using Facebook’s recommendation system - and that they should friend-request me if I lost them in the crossover process. It was a busy weekend of Facebook activity, and then it settled down. I am much happier with the two profiles. I am not a fan of friending kids from personal accounts.